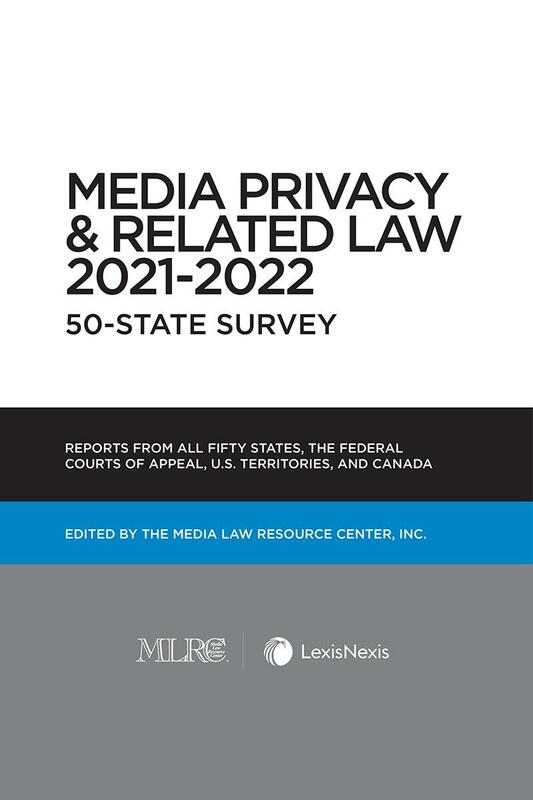 Media Privacy and Related Law examines privacy and related claims that often arise in a media context, and how courts handle these issues in the United States and Canada. Media Privacy and Related Law examines privacy and related claims that often arise in a media context, and how courts handle these issues. 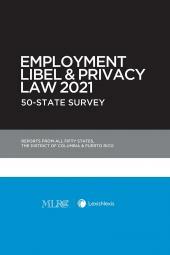 Topics covered include: False Light, Private Facts, Intrusion, Eavesdropping, Hidden Cameras, Misappropriation, Right of Publicity, Infliction of Emotional Distress, Prima Facie Tort, Injurious Falsehood, Unfair Competition, Conspiracy, Tortious Interference with Contract, Negligent Media Publication, and Relevant Statutes. 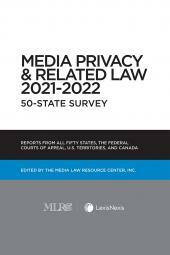 LexisNexis is the exclusive distributor for the annual 50-State Survey publications from the Media Law Resource Center. The surveys are prepared by practicing attorneys who are experts in the field. The eBook products have links to Lexis Advance®, which allows LexisNexis® online subscribers to easily access the cases and codes. Customers with standing print orders should contact their LexisNexis sales representative or call 800-223-1940 to add the eBook or increase their number of copies. 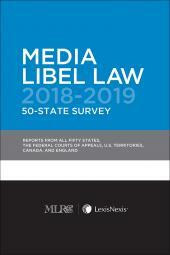 Member pricing is available to current members of the Media Law Resource Center and member orders will be verified against the MLRC membership roster. Non-members may order this title by clicking here.